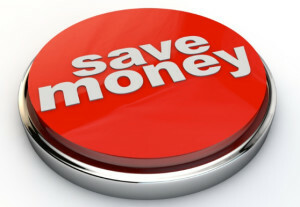 Here are a few great tips for saving money with your local car hire service. This shouldn’t come as a surprise, but you will usually find the best deals available through the internet. The web is always the best place to shop for various reasons, but at the end of the day, it’s because they have the cheapest prices. Using the internet will allow you to view the rates, view the rental vehicles, and then compare it to other options. You can do all of this in person, but it takes a lot more driving and you always have a salesperson standing over your shoulder. Instead, do it all from the comfort of your home without ever needing to put on a pair of pants. A lot of car rental services even offer additional discounts to customers who rent online because it saves them money as well. You can expect prices to vary a lot from one company to the next, so bookmark your favorite pages and don’t forget to return later after you compare a few other companies. Now this one might come as a surprise, but rates are usually a lot cheaper on the weekend. Some companies offer discounts over 50% off on the weekends! That is an incredible and dramatic price difference that any smart shopper would take advantage of quickly. If you have the flexibility in your schedule to rent a car on the weekend, then this is a very good idea and your wallet will thank you. However, the lowest rates are usually available on weeklong rentals. You can save up to 50%, even if you only use the car 5 out of 7 days. If you need the car for more than a few days, this is the way to go. On a daily basis, you can expect to pay much more. 3. Always read the contract before booking a car. One place you don’t want to find any surprises is inside the contract. Read all of the terms very carefully and make sure you won’t be receiving any hidden fees. Look for terms involving gas usage. For example, some car rental services will offer you the ability to fill the tank with gas before you leave and return the car near empty, or you can just refuel the car before you return it. While the first option is more convenient, you usually end up paying for more gas than you can use. There can always be more additional fees or options hidden in the contract, so read it carefully and then read it again. You can find great offers and new cars at Promotor Rent a Car Romania. For more details, please visit www.auto-rent.ro or call us at +40734 403 403 !